This is the newest type of grill brush out there and it works great especially on those inverted V shaped porcelain coated cast iron grill grates. 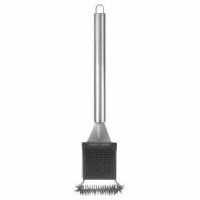 The deep cleaning grill brush has two inline spiral stainless steel bristle brush heads. With the circular design and bristle ends sitting at various levels it allows this brush to have a deeper penetration between the grates than the other brush head designs on the market today. 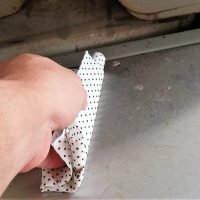 There is no need to put added pressure on the brush, just lightly glide it back and forth over the top of your grates and in one or two stokes they will be clean. 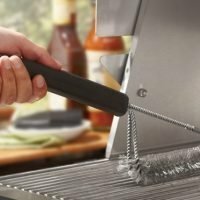 We have been using this grill brush for a few months now and are very impressed with the results. While it cleans a narrower area then some of the other brushes overall it is less effort for a better result. We have tested this brush on both porcelain coated cast iron and chrome plated wire grates and the results for both were impressive. Not only did it clean better then most other brushes it did it in less time with less effort. A full article on this type of brush can be found here. 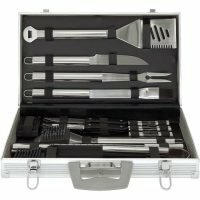 If you have porcelain coated grill grates be sure to check your grill manufactures brush head recommendations before purchasing. 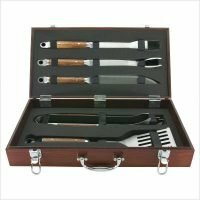 Some do not recommend the use of stainless bristles on their grills. 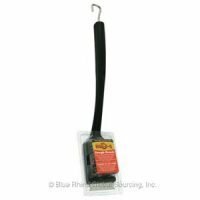 The brush has a 10 inch long heavy duty plastic handle that has a notch for your thumb to ensure a good grip. 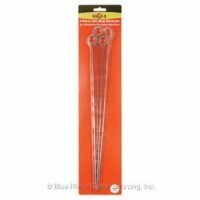 The brush heads are an oversized 7 inches long on wound metal wire. Overall length of this brush is 18 inches. The handle also has an oval hole for hanging and storage. 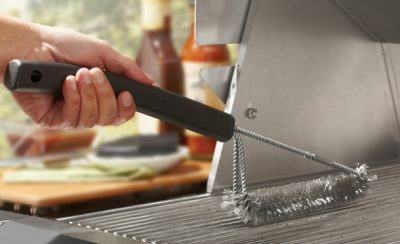 Over the last 10 years we have seen many grill brush designs come and go and only a few have stuck around. 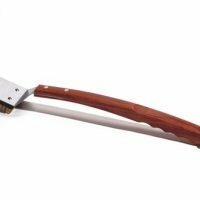 This type of grill brush is the best we have seen by far and we do not hesitate to recommend it for any type of grill grates.